SE Healthcare Data Analytics and Solutions > DAVID ACKER, M.D. 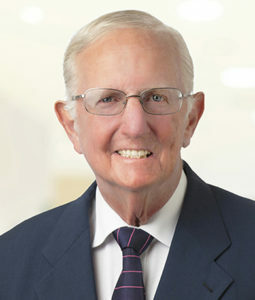 David Acker, M.D. is an obstetrician with over 35 years of valuable clinical and quality assurance experience. He specializes in obstetrics and gynecology, including high-risk maternal-fetal medicine. His clinical interests include high-risk pregnancies, multiple births and previous reproductive loss. Dr. Acker is the immediate past Chief of Obstetrics at Brigham & Women’s Hospital in Boston, Massachusetts, having held that position for 18 years. Prior to that, he was Chair of Ob-Gyn at Boston University School of Medicine. He is currently the Associate Professor of Obstetrics, Gynecology and Reproductive Medicine at Harvard Medical School in Boston where he has been instrumental in the quality assurance initiatives of the Harvard Risk Foundation. Dr. Acker is a Reviewer for Obstetrics and Gynecology, The American Journal of Obstetrics and Gynecology and Gynecologic and Obstetric Investigation. He serves on the Advisory Committee of the Massachusetts Section of the American College of Obstetricians and Gynecologists. He is a member of The American College of Obstetricians and Gynecologists, New England Prenatal Society and Massachusetts Department of Public Health (Maternal Mortality Committee). Dr. Acker has written nearly 50 reports and published numerous books and chapters on obstetrical and gynecological issues. In addition, he has lectured extensively in the area of obstetrical complications. During his career he has recieved a number of awards and honors including America’s Top Doctor’s (Castle Connolly Medical Ltd) and Boston’s Best Doctors (Boston Magazine). Dr. Acker received an M.D. from the New York University School of Medicine. He interned at Baltimore City Hospital and completed residencies in obstetrics and gynecology at Albert Einstein Affiliated Hospitals in Bronx, New York and Vanderbilt University Affiliated Hospitals in Nashville, Tennessee.